Want To Win Christmas DVDs?! Coming soon on this week’s Monday Movie Show Christmas Special we’ll be having a look back at the best and the worst movies of 2011, and our alternative christmas movies list, three of which you can win on DVD! 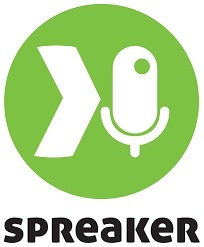 Join us for the extended show from 7:30 till 9 on the 19th of December. To enter, you just have to answer the following question. On the fifth day of christmas my true love sent to me, five…? Send your entries by private message over twitter to @mondaymovieshow, @ahdvd or @cryptictadpole by midnight on Sunday 18th of December with your full name and postal address (you must have a UK address to enter and be 15 years of age or older to enter, click here for full competition terms & conditions). 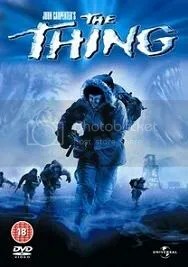 Win a copy of John Carpenter’s The Thing on DVD! For your chance to win our fotrnightly prize of a choice of Cloverfield, Minority Report, Oceans 11 on DVD or Angel’s and Demons on Blu-Ray, all you have to do is listen to the following clip and tell us which movie it’s from by sending us a PM on twitter or by e-mail. It’s that simple. The winner will be picked at random from all correct entries. There will also be a second clip next week giving you two chances to win! You can send your answer to us as a private message over twitter (To either Stuart @Cryptictadpole or Andrew @ahdvd) or send an e-mail to mondaymovieshow@yahoo.com. Closing date for entries is midnight on Sunday 16th October, for terms and conditions see the competitions page. For your second chance to win your choice of a Cloverfield, Minority Report, Oceans 11 or Indiana Jones and the Kingdom of the Crystal Skull on DVD, all you have to do is listen to this clip and tell us which movie it’s from by sending us a PM on twitter or by e-mail. It’s that simple. The winner will be picked at random from all correct entries and announced on next week’s show. You can send your answer to us as a private message over twitter (To either Stuart @Cryptictadpole or Andrew @ahdvd) or send an e-mail to mondaymovieshow@yahoo.com. Closing date for entries is midnight on Sunday 9th October, for terms and conditions see the competitions page. Congratulations to @llcoolchay who won the first Monday Movie Show competition, your choice of DVD will be on it’s way to you. For a chance to win your choice of a Cloverfield, Minority Report, Oceans 11 or Indiana Jones and the Kingdom of the Crystal Skull on DVD, all you have to do is listen to this clip and tell us which movie it’s from by sending us a PM on twitter or by e-mail. It’s that simple. There will be another clip next week, meaning you have two chances to enter, and then a winner will be picked at random from the correct entries. You can send your answer to us as a private message over twitter (To either Stuart @VN_Stuart or Andrew @ahdvd) or send an e-mail to mondaymovieshow@yahoo.com. Closing date for entries is Sunday 2nd October, for terms and conditions see the competitions page. So, for a chance to win your chice of a copy of The Matrix, Cloverfield or Minority Report on DVD, all you have to do is listen to this clip and tell us which movie it’s from. It’s just that simple. Yes, we’re aware they’re not recent, but what do you want for nothing?! You can send your answer to us as a private message over twitter (To either Stuart @VN_Stuart or Andrew @ahdvd) or send an e-mail to mondaymovieshow@yahoo.com. Closing date for entries is Sunday 25th September, for terms and conditions see the competitions page.